S.P.L.A.S.H. 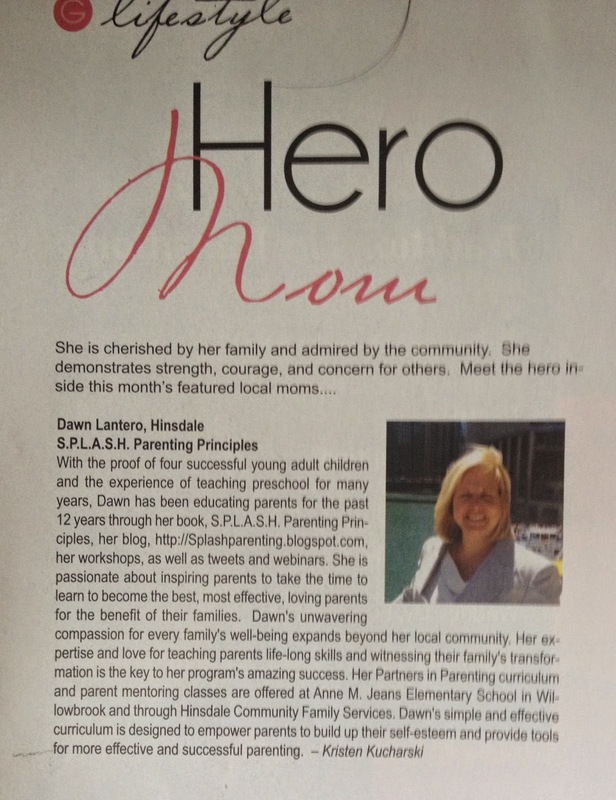 Parenting: Thanks to Glancer Magazine for this incredible shout out! Thanks to Glancer Magazine for this incredible shout out! My dear friend, Ginger Wheeler nominated me for this honor, and another wonderful friend, Kim Stephens, wrote some kind things about my work. Thanks to both of you and to Kristen Kucharski for this flattering write up. I love teaching both parents and preschoolers...but Hero? I don't think I've earned that title yet.